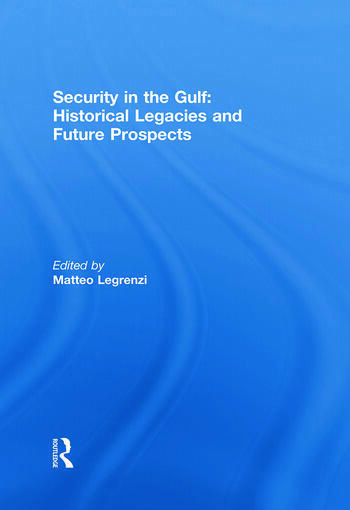 This book examines Gulf Security in a holistic way seeing past the narrow military aspect and also trying to debunk the conventional narratives propagated by regional and external actors. In particular, the emphasis is be on the historical legacy of Gulf security and the fundamental domestic and international vulnerabilities of the various states in the region. This approach proves important in light of the recent efforts by Gulf states to recast their position in the international arena trying to peddle an image of self-assertiveness and autonomy in the security sphere. These new diplomatic stances do not seem to be borne out by their current security policies that are marked by apparent continuity with past practices. In particular, the new Gulf-Asia nexus and the claims by Gulf monarchies that regional confidence building measures are appearing on the horizon are placed under critical scrutiny. This is done by a sobering examination of the balance of threat in the region, the historical amity/enmity patterns and the evolving American stance. A shorter, modified version of this book was previously published as a special issue of the British Journal of Middle Eastern Studies. Matteo Legrenzi is Assistant Professor at the Graduate School of Public and International Affairs of the University of Ottawa, Canada. He has published articles on the GCC and on international politics of the Gulf, and is co-editor of Beyond Regionalism? Regional Cooperation, Regionalism and Regionalization in the Middle East.